UPDATE: On December 5, 2017 the first cohort of Unlocked Futures was announced. Click here to read about these amazing social entrepreneurs. MAY 9, 2017 (NEW YORK) – In partnership with Grammy winner and activist John Legend’s FREEAMERICA, New Profit will launch Unlocked Futures, an Accelerator providing capacity building funding and support to formerly incarcerated individuals operating mission-driven organizations. Unlocked Futures aims to drive meaningful progress to address key challenges related to America’s criminal justice system, which currently houses 2.2 million individuals, costs taxpayers $80 billion a year, and disproportionately affects communities of color. The initiative will provide funding to help break down barriers to reentry and renewal that face so many people leaving prison. Up to 60% of formerly incarcerated individuals are still not employed one year after release, and partly as a result, more than four out of ten return to prison within three years. 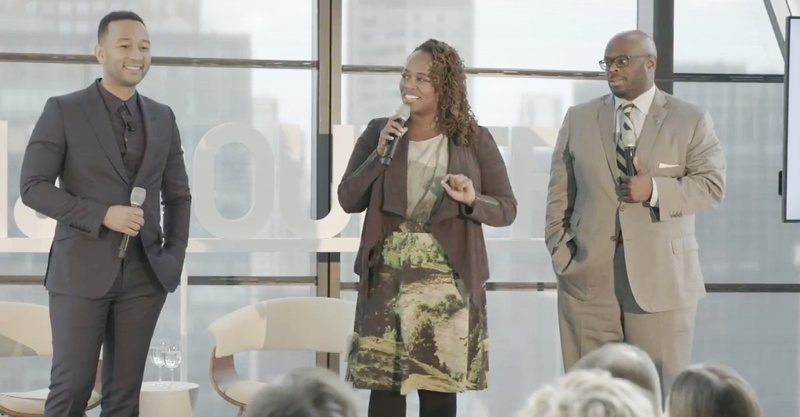 In the coming months, the Unlocked Futures partners, led by New Profit, will be conducting a nationwide search for social entrepreneurs and organizations run by formerly incarcerated individuals to support in the first cohort. The selected organizations will be announced later this year. If you know a social entrepreneur or organization that fits this description, please submit their name and supporting information to UnlockedFutures@newprofit.org. For more information on FREEAMERICA, click here. For more information on Bank of America, click here.